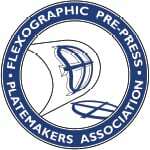 Securing the future of the corrugated prepress and platemaking trade shop model. Join us as we come together to take on industry challenges and grow our businesses. Not only will this conference include technical sessions from supplier members and opportunities for one-on-one networking, it will also feature round table discussions on the direction and future of the association. Your voice is paramount in moving us forward, so we hope to see you there. 10:00 a.m. Technical Session: Anderson & Vreeland, Inc.
Business casual is requested for all sessions. Casual/resort wear for Sunday's reception. Highs in the mid to upper 70s °F. Lows around 50°F. Any supplier members interested in leading an educational technical session should fill out this form and return to FPPA. The discounted rate is available from Feb. 19 - 23, so feel free to take advantage of all the hotel has to offer before or after the conference!